Gene Kannenberg recently started a Tumblr experiment called Comics Machine where he intends to do an abstract comic every day. I think few comic fans are even familiar with the notion of abstract comics, so whether you like Kannenberg's specific comics or not, I think it'd be useful to at least take a look through what he's doing. 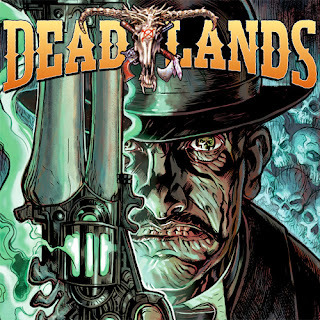 Visionary Comics chats briefly with David Gallaher and Steve Ellis on the upcoming Deadlands: Dead Man’s Hand graphic novel from IDW. Finally, a temporarily mandatory link to the Patreon campaign I just launched. I look forward to your support!